With all the new products pouring into The Crafty Scrapper from CHA the design team is getting busy creating new designs to share. Check out what Isla has done with Maya Road's mason jar chipboard. You can find these supplies at The Crafty Scrapper to make yourself one of these adorable albums. Here's a quick photo from "The Fairy Tale" class we hosted on Saturday. This is a page from Amy L.'s album. I love how she added seam binding to the bird to carry out the theme from the paper. Inspired! If you're interested in any of our classes or upcoming events click this LINK. Don't forget TCS is calling for teachers and design team members. Check out the link HERE for details on how to submit an application. Happy Scrapping! 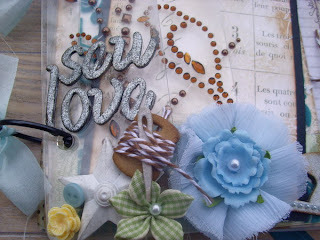 Here is a sweet mini album you can see when you come into The Crafty Scrapper. It uses the new Maya Road chipboard pieces, and lots of other Maya Road goodness. Maya Road pins, gingham flowers, silhouette pieces, postage stamp, and scroll. This page features Maya Mist which we can demo for you if you stop by the art bar at the store, and big pink Maya Road blossom. Maya Road kraft tickets and Rock Candy Distress Crackle paint create this sweet textured look. Hope to see you in the store this week. More updates coming soon! Happy Scrapping. We're still taking applications for our design team call and call for teachers. Click HERE to read the details. We had a great turn out today for "The Fairy Tale" album class. There are two kits at the store if you'd like to put this together in your free time. Call the store to reserve yours. One of our upcoming classes is Dee Dee's sweet spring butterfly banner on March 12th. This is just one of the panels. If you'd like to take a class over Spring Break this class will be in the morning on March 12th. 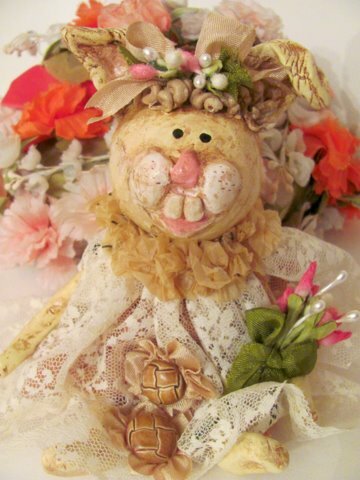 It is filled with sweet Spring colored embellishments, and we'll be inking paper and doing lots of layering. 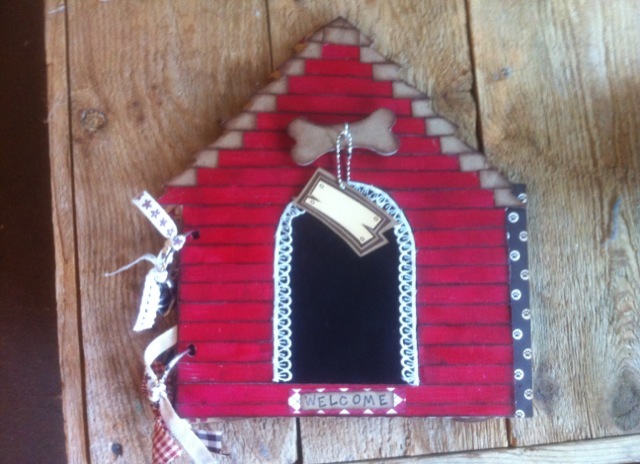 Join Gena in making this ADORABLE dog house album on March 15th for your sweet fur baby! We also have our next No Frills Crop on March 19th. Join us for fourteen hours of non-stop cropping with pizza, salad bar, drinks, and dessert. Hundreds of boxes are pouring into The Crafty Scrapper. If you haven't been in to see the new stuff make a trip next week, and sign up for a few classes while you're there. Happy Scrapping! The Crafty Scrapper is looking to expand its class offerings and that means we need to add to our talented pool of teachers. Even if you have never taught a class before, but have some great ideas - we want to hear from you. Classes we are look for are: card classes, mini books, home decor, and classes using beeswax. Our customers love classes with techniques! Teaching is an art in itself. 1. Create completely original designs with the intent of teaching those designs and the techniques used in the design to store customers. 2. Be able to balance anywhere from beginners to pros in the same class with patience, creativity, and fun. 3. Have a unique style that you can help others translate into their own projects. 4. Be familiar with the newest products, and have a repertoire of the newest and best techniques across multiple art genres. 5. Prepare your classes with a store sample, full color photo to post the class on The Crafty Scrapper website and FB, a supply list for The Crafty Scrapper to order, a class description, class cost, dates to teach, printed full color instructions, and fully assembled kits. 6. Come to class prepared to upsell store products, and help customers develop new skills. 7. Be prepared to teach one make and take a month at The Crafty Scrapper. 8. Have a naturally professional and friendly attitude at all times. 9. A schedule that allows for teaching class at least once a month. If this sounds like you, please present a few of your own unique ideas/samples for class projects and a resume of your scrapbook experience. The Crafty Scrapper Design staff and owner, and a few industry designers will review your and respond to your submission. 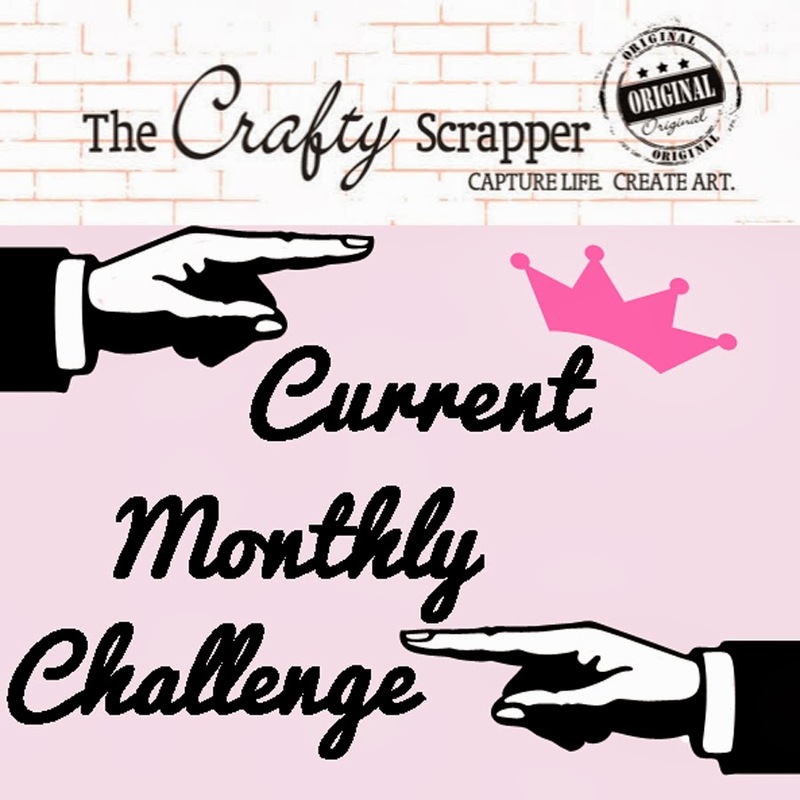 Please email your questions, samples and resume to designing@thecraftyscrapper.com. Please only apply if you feel that you will be able to fulfill all of the outlined teaching requirements. We are looking for fresh new talent to expand The Crafty Scrapper’s 2011 Design Team. 1. Commit to a 6 month design team term starting with a two month trial period which will allow the designer and The Crafty Scrapper time to be certain this is a good fit for both parties. 2. Be able to work on a monthly deadline and follow directions to turn in 3 layouts and a card or one mini album/altered project per month. 3. Submit clear crisp photos of your projects by email to the Design Team leader to be used on The Crafty Scapper blog, The Crafty Scrapper Facebook page, and in The Crafty Scrapper Newsletter. 4. Turn in with your submissions a detailed list of products used on your projects that can be found at The Crafty Scrapper. 5. Be willing and able to post photos of your project and a brief description of your project to The Crafty Scrapper blog, and to your personal blog. 6. Be excited to work with sponsor supplied products to design layouts, cards, mini albums, and other creative projects. 7. Be a team player who enjoys creating to inspire others! 8. Represent The Crafty Scrapper as well as yourself in a professional manner including while on online forums, your personal blog, Facebook, while teaching classes, and at scrapbooking events and retreats. 9. All design team work submitted for the store should be original to the designer, with any inspirational credit given where credit is due. 1. Submit 5 examples of your best original work by email to designing@thecraftyscrapper.com titled TCS Design Team Call. 2. Include in this e-mail your full name, address, phone number, e-mail address, blog address, and a short bio about yourself , your scrapping style, and please include any design team experience (past or present), including links to any sites you currently design for. This Design Team Call will be open from February 22th - March 8th, 2011 midnight Central time. Please only apply if you feel that you will be able to fulfill all of the outlined design team requirements. GOOD LUCK to all who choose to apply. The new design team members will be announced March 15th. Thank you for your interest in teaching and designing for The Crafty Scrapper. 7 Gypsies ATC drawer is so so cute. We also received paper and paper pads for Lille and Camden. The Teresa Collins Stampmaker, that is awesome!! We have all of the Silver and Gold Fine Line Stickers. We have restocked the Flower Soft adhesive. New to us at the store are their silk ribbons! Cruise, travel, western, Hawaii, beach, sports, band, carnival (lots of you asking for this), zoo and more I am forgetting I am sure! ALL VALENTINES products are on sale 40% off! The store was a buzz Saturday with classes galore!! I love Saturdays! The store always comes alive whether it's with weekend shoppers, classes or crops! We enjoyed getting to see all of you﻿. Ann Denise Anderson taught her Vintage Valentine topper. She never fails to surprise us with her pretty table settings, sweet treats, and vintage goodies!! Carolyn taught her always popular Acrylic Calendar. The ladies learned lots of new techniques with chipboard, inks, glossy accents, die cutting and more! Our last class of the day was Trisha's Vintage Heart with Wings ﻿class. Trisha did double duty Saturday as a student and as a teacher! It was amazing seeing all the different hearts come together as the ladies placed vintage and new pieces into a collage and then added their decorative metal to the wings. We also had a Crafty Scrapper marathon student for the day...Ms. Nicki was with us for ALL 3 classes! We have a lot of new classes coming up in February and I think there maybe one or two already for March. If there is a class or technique you've been wanting to learn, just let us know and I'm sure one of our talented girls can put together a class or a make 'n take! Come spend this next Saturday cropping with us at our February No Frills Crop. Just call the store to sign up. We'll see you there!! Here's a mini album I put together for The Crafty Scrapper a couple of weeks ago using We R Memory Keepers patterned paper. At first the colors of these papers kind of threw me, but I loved them when I added in some black to tone things out. I cut up a kraft tag to layer under the title, and added a vintage clock face and leaf pin. It is sooo good to be home, even with the freezing cold wind, ice and snow hanging around! The most amazing thing about CHA is the INSPIRATION. and the clothes and accessories everyone is wearing. My mind was spinning everyday just thinking of the possibilities! These first two pictures are just a few of the many many projects in the Ranger booth. One of our favorite booths was Pink Paislee! Look who I found in the PP booth...Rhonna and Janet. These next pictures are from 7Gypsies. The girls there were just as cute and helpful as they could be. We thought you might like to see how they decorated some of their receipt holders. Back to the store tomorrow! I have lots more pictures to post, so check back in with us daily.